Day 2, 3 & 4. 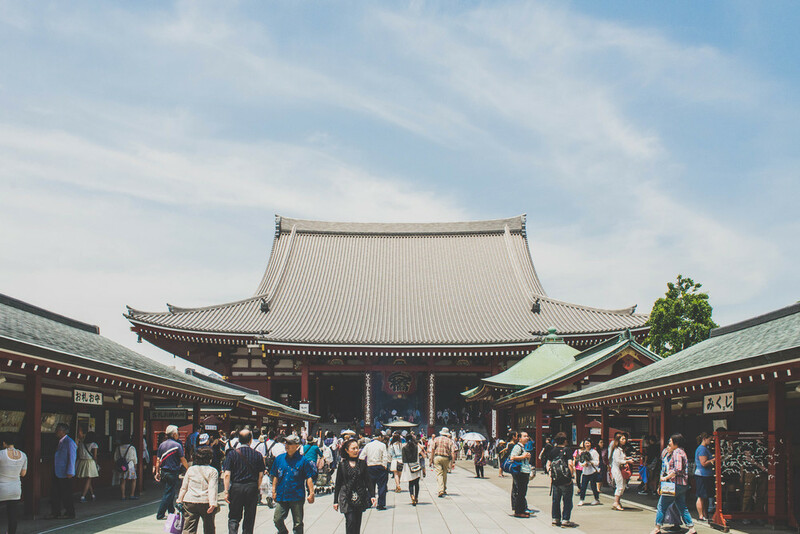 We spent our second day exploring more popular spots of Tokyo, diving into the floods of tourists and respectful locals at Asakusa and creating an ever growing shopping list in Kappabashi, "Kitchen Town". From there we ventured on to Shizuoka, the town where his dad grew up, to stay with Colin's uncle and aunt. I got my first taste of the bullet train. It was pleasant, but it wasn't until we went to Fuji River and stood near a bridge where the train would pass that I witnessed how truly fast it was. It was hard to get my head around. In Shizuoka, I got to meet Colin's sweet grandma, and the room we slept in was covered with photos of his grandparents, his dad in his younger years, and Colin and his siblings as kids. I must say, the Chubachi smile is one of my favorite smiles. We went to the remnants of Sunpu Castle, had a hawaiian style BBQ on a rooftop in a pastel sunset, and watched lots of Japanese TV. On another afternoon we went to Fuji city to visit friend's of Colin's family. We played with their adorable child, went for a walk by the river (watching endless speeding trains...), and briefly spotted the ever elusive FujiYama. Finding Mt Fuji is just another small but not insignificant enticement to return to Japan someday.